Your satisfaction is our priority. Let us Move you Forward! Pick Up Movers pays particular attention to the future of its relations with customers. This individual approach- to address issues with each and every customer provides for a professional and fair transaction. We specialize in Local (Intrastate) and Long Distance (Interstate) relocations. 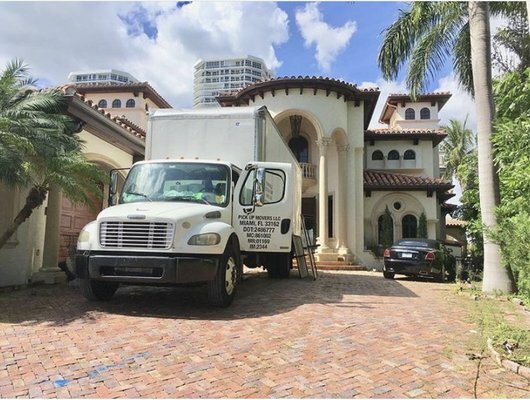 Pick Up Movers is a Florida based moving company. We are an actual moving company- NOT A BROKER OR AGENT. We are fully Licensed and Insured company. We have our own trucks, our own equipment, and our own experienced crews. We can prove it! Pick Up Movers offers moving pick up services in 38 states and deliveries in 46 states. Want to experience an easy and relaxing move- hire us today! Pick Up Movers caters to your moving needs.